A report on development economics in action, by a crucial player in Nigeria's recent reforms. Corrupt, mismanaged, and seemingly hopeless: that's how the international community viewed Nigeria in the early 2000s. Then Nigeria implemented a sweeping set of economic and political changes and began to reform the unreformable. This book tells the story of how a dedicated and politically committed team of reformers set out to fix a series of broken institutions, and in the process repositioned Nigeria's economy in ways that helped create a more diversified springboard for steadier long-term growth. The author, Harvard- and MIT-trained economist Ngozi Okonjo-Iweala, currently Nigeria's Coordinating Minister for the Economy and Minister of Finance and formerly Managing Director of the World Bank, played a crucial part in her country's economic reforms. In Nigeria's Debt Management Office, and later as Minister of Finance, she spearheaded negotiations with the Paris Club that led to the wiping out of $30 billion of Nigeria's external debt, 60 percent of which was outright cancellation. 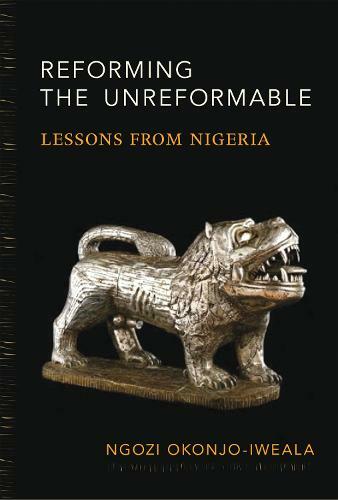 Reforming the Unreformable offers an insider's view of those debt negotiations; it also details the fight against corruption and the struggle to implement a series of macroeconomic and structural reforms. This story of development economics in action, written from the front lines of economic reform in Africa, offers a unique perspective on the complex and uncertain global economic environment. New Private Monies - A Bit-Part Player?